Dish TV India Limited, world's largest single-country DTH Company announce the launch of 'Fitness Active' service on its DishTV & d2h platforms. 'Fitness Active', a unique offering along with a strong strategic partnership with Brilliant Living TV, country's largest content provider in fitness and wellness, will help Dish TV bringing value added services into this space. This fitness service will be available on channel number 132 on DishTV & d2h. 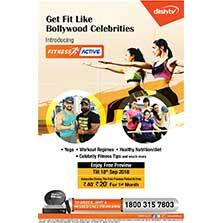 DishTV's subscribers and fitness enthusiasts will get up close and personal with the celebrity fitness trainers to gain insight on fitness and nutrition. These fitness trainers come from diverse fields of Yoga, Nutrition, Meditation, Martial Arts, Pilates, who are responsible for training and coaching of famous celebrities like Katrina Kaif, Kareena Kapoor, Aamir Khan, and the likes. 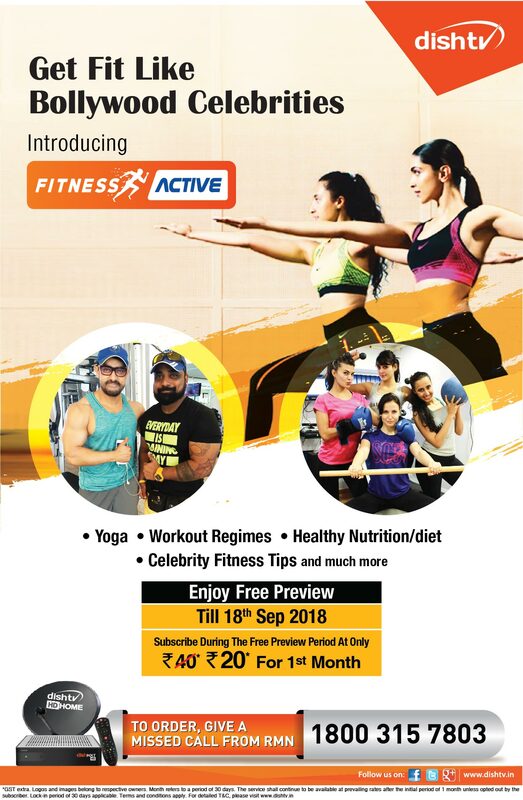 Grand Master Shifuji- world's best commando trainer, Shivoham from Shivfit, Yasmin Karachiwala – celebrity Pilates coach are few of the trainers who will share tips to become fit offering a holistic fitness regime to DishTV and d2h subscribers. 'Fitness Active', a 24x7 service will be available at just Rs.40 per month in both Hindi and English language. Additionally, the service will be available for a free preview till September 18th, 2018.